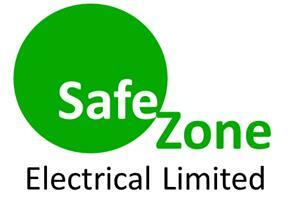 Safezone Electrical Ltd - Electrician based in Ealing, London . Invoice history based on 61 reviews. Formed earlier this year by electrician' s Jason and Kyle, Safezone Electrical Limited is a small company offering a personal service based on knowledge and personal experience gathered over 15 years working in the electrical trade. Our professional service is friendly and prompt, providing free estimates and information. We are able to meet all your electrical requirements, however small or large. Whether you want an extra socket or light, upgrade your lighting to LED or a complete re-wire. Working in both the domestic and commercial sector, from new builds to planned maintenance and fault diagnosis. We provide all certification necessary to sign off your project, as NICEIC approved contractors and domestic installers, including certificates for landlords.